As businesses vie for the top spot in search engine rankings, healthcare providers and professionals will start to really hone in on the value of organically-generated content to improve search engine optimization. Plus, going into 2019 it’s likely we’ll see an increase in voice-based search queries. How many people do you know use Siri on their iPhones, Amazon Alexa, Cortana, Google Voice, et cetera, to find directions or instructions or communicate with people while trying to be hands-free? Even at the end of 2015, voice command software systems were on the rise. 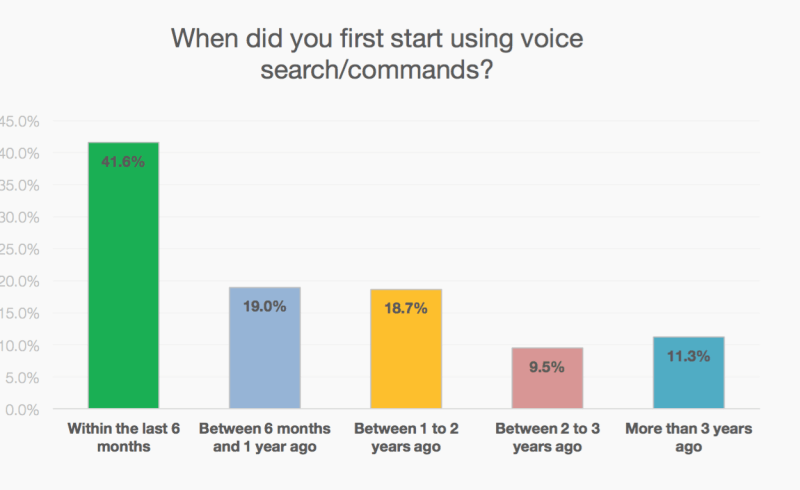 MindMeld released a study that showed a significant increase in people who started using digital voice search in the last six months since being introduced. Even though voice-activated search software systems don’t typically release the numbers on how often their devices are used, digital marketing experts suggest that voice-based searches will be on the rise. ComScore even went so far to say that by the year 2020, all internet searches will be voice-driven. With more people going to their mobile hands-free devices for answers, it’s important to create content so that they find your business- especially if you work in healthcare. There are several ways to organically generate content and distribute it through the web that in turn raise your SEO ranking and are more likely to get picked up over voice commands, such as through social media and blog posts. Regularly posting updates to Facebook and LinkedIn can help healthcare businesses climb the ranks in SEO, but the ones who will continue to stand out in 2019 are those that come up with creative social media campaigns that really drive engagement. For example, to urge people into practicing healthier ways of living, UnitedHealthcare released a “We Dare You” campaign in 2015 that gained widespread healthcare marketing notoriety. In it, United Healthcare encouraged its social media followers to make one small change/implement a healthier habit per month and share it with the rest of the group. United Healthcare posted prompts, like “We dare you to watch our ‘Choosing a Health Insurance Plan’ video and share your opinion” to “Play the herbs and spices matching game” with everything leading back to sharing the results on social media for a chance to win prizes. United Healthcare is no stranger to using hashtags in their Facebook posts (recently bringing awareness to #NationalAcornSquashDay and #ChildhoodCancerAwarenessMonth), but every time they do they gain a couple thousand more likes. And with more than 185,000 followers, United Healthcare is doing something right in digital healthcare marketing. The “100 Deadliest Days” may sound like a zombie apocalypse horror movie, but it’s also a time period between Memorial Day and Labor Day when children and teen deaths increase tenfold due to critical injuries. When the Arkansas Children’s Hospital recognized this, they created a campaign to raise awareness of what kids can do to stay safe during the summer. Even though it doesn’t paint a pretty picture when you search #100deadliestdays on Twitter and come upon a teenage car accident, it does send a powerful message to be alert during this time so that your loved ones stay out of the hospital. Regularly creating content for your website that is helpful and answers peoples’ questions is a great way to gain recognition as a trusted expert in your field, or you can at least facilitate the conversation by creating a forum or being the absolute go-to source for anyone who has a medical question. I think that two of the two most prevalent sources for medical information is WebMD and the Mayo Clinic. The Mayo Clinic in particular, is a well-recognized source for treating patients from all over the world with a variety of information and a top-notch staff. 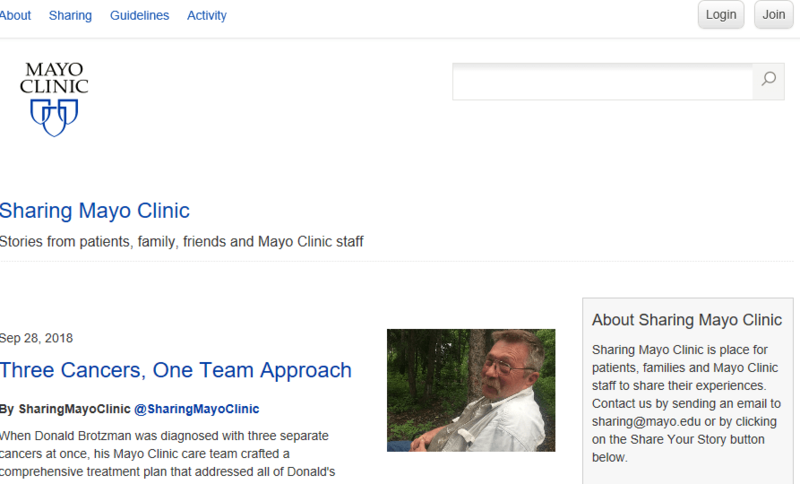 In a medical marketing sense, the Mayo clinic successfully created an inclusive, worldwide digital community through its Sharing Mayo Clinic blog. In it, the blog is consistently sharing success stories, experiences, and helpful information about dealing with big life changes for its family members, patients, and staff. The Floating Hospital for Children also had a smart approach in jumping on the blogging bandwagon by catering to the moms of the patients it serves by creating an online space called “Our Circle of Moms”. Acting as a support group for parents, OurCircleofMoms.com contains videos, discussion threads, expert advice from physicians, and “parenting secrets shared with the world” as it promotes in its header. Keep in mind that people will continue to turn to the internet to find answers to their problems, especially in their healthcare needs. As people search the internet for information to solve their health issues and seek stories from people who’ve dealt with similar problems, they in turn are going into doctors’ offices with increased knowledge about their symptoms, diagnosis, and treatment options. And this is great for the healthcare industry as people are taking initiative, but it also challenges you (or your medical marketing agency) to step it up a notch and prove to potential customers that you have the answers or are open to encouraging the conversation. If you’re ready to start your own blog or want to get ahead of what’s to come in healthcare SEO innovation (and owning the results that pop up from voice-activated searches), just remember that writing for voice commands is different than writing for just the regular web. Campaign suggests that how people phrase their questions can give some insight into where the prospect is in the buyer’s journey or what their intention is. – Write in a conversational tone. Think about the top questions you get from your customers and how you answer them, then expand on the topic. The whole purpose of creating content for the web is to differentiate yourself from the competitors in your field so make sure that you are answering questions in clear, simple terms that your prospects can understand. – Implement long-tail keywords that address what your customers are asking. As you think about the top questions you get in your healthcare business, point out the most valuable terms that can help prospects find your business. – Make sure that the keywords in your content are also integrated in the backend of your website. Search engine web crawlers are constantly scanning websites and pages to find relevant, verified information related to the services being promoted. Work with your web designer to make sure that the appropriate keywords are in place in the metadata/schema markup of your site. – Account for misspelled/misinterpreted words. Sometimes Siri or Alexa can misinterpret what you’re saying (just like someone can spell something wrong in a search engine) and the best digital marketing agencies recognize that and implement misspellings/mispronunciations into the brand’s marketing strategy. For instance, I asked Siri “What is Asperger’s?” but she interpreted it as, “What is asked burgers?” Fortunately, the first search result that popped up was WebMD’s “Asperger’s Syndrome: Symptoms, Tests, Diagnosis, and Treatment”. It was exactly what I was looking for. Voice recognition services are getting better at automatically doing this, but especially in specialized healthcare terms, it’s worth taking a few extra minutes to see what comes up in search results. The advent of video conferencing technology has allowed easier, faster, and cheaper communication allowing teams within big global companies to “meet” more regularly without having to spend money on flights and crossing time zones. Video conferencing has also found its place within the medical and healthcare industry, as doctors and surgeons around the world can now remotely consult with other doctors and treat patients that don’t have immediate access to hospitals or healthcare facilities. Now virtual hospitals can be set up as well as remote illness monitoring which is nice for people who want to stay in the comfort of their own homes. But video does more than just make a direct impact on patient continuum of care and collaboration with colleagues. 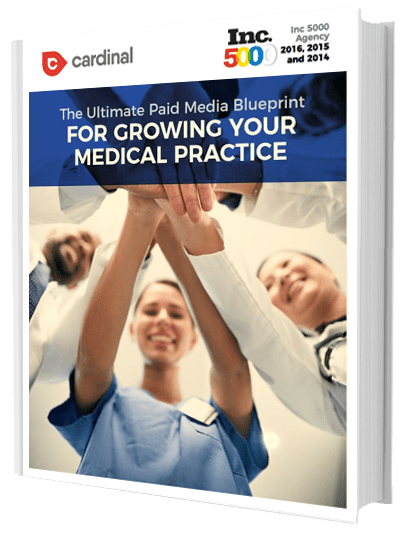 Business2Community reported that healthcare businesses with a video on their website have a greater chance of making it to page one on Google search results and enhances the opportunity for brand exposure and consumer confidence. Plus, it’s totally trackable and relevant to the healthcare industry as video provides a way to visually educate internet users on medical conditions. – Through Storytelling: Video has become a powerful marketing tool for the healthcare and medical industry, especially in communicating patient success stories. A while back, New York Presbyterian Hospital ran a brilliant campaign, releasing a powerfully short 1-minute video of how the hospital’s doctors saved Michael Kiernan’s life (it seriously made me tear up a little bit). 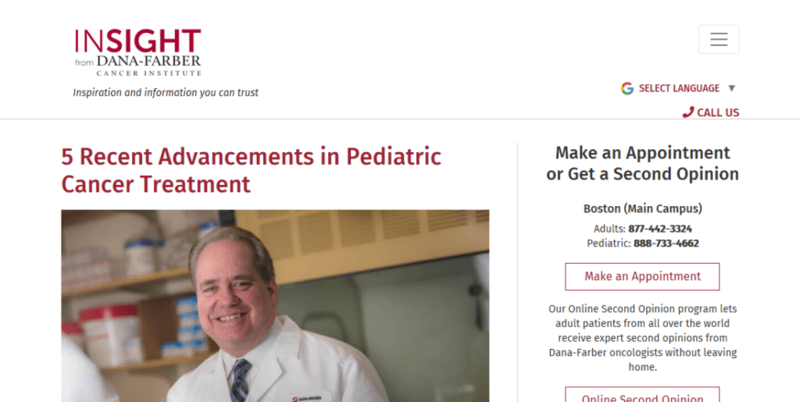 In another noteworthy campaign, the Dana-Farber Brigham Cancer Institute also takes a personal approach to digital marketing through video, instilling confidence in its patients through heartfelt videos and Insights Blog. Using a variety of digital marketing mediums, the Cancer Institute is continuously sharing tips and other information from people who are now cancer-free. – Through Virtual Reality: Remember when I said earlier that virtual reality (VR) is going to become more prevalent in 2019? That will definitely apply to the medical marketing world as well, especially as doctors and surgeons try to visually teach other healthcare professionals. For instance, Medical Realities is a training service that uses VR to deliver high-quality specialized surgery education with a focus on realism and immersion. Compatible with various VR devices, Medical Realities uses an advanced 360-degree camera that captures the entire room and how people are interacting within it. To top it off, Medical Realities can augment the video with additional microscope and/or laparoscopic feeds and 3D close-ups of operations. Its VR Anatomy portal lets a medical student explore different body parts in detail and easily go back and forth between the anatomical information and the video to better understand certain procedures. Video not only helps other healthcare professionals, it is a valuable resource to digital marketing efforts. Two years ago Google Think released statistics showing that on a daily basis, 44 percent of patients who found hospitals on their smartphones booked their appointments through that same device. As digital technology gets more advanced and speedier networks allow people to communicate more frequently across the globe, it’s worth thinking of how video can improve your healthcare SEO and ultimately your bottom line. The challenge for many healthcare professionals is that they are so busy treating patients or involved in their practices that it leaves very little time for blogging and posting on social media. But this is where a medical marketing company like Cardinal can help. Although generating better rankings through organic SEO by blogging and improving your website is great, it’s only one piece of the pie and going into 2019, you are going to need more than a robust keyword strategy- you need to put it to work in more ways than one. A large focus should still be on PPC (Pay-Per-Click) advertising. Paying for advertising through LinkedIn, Google AdWords, and Facebook are a few ways to give you a wealth of information regarding what works and what doesn’t (along with it being a cost-effective way to get referrals, patients, and build your brand). Voice command searches play a large role in the future of PPC trends, as many digital marketing experts believe that more people will use their Alexas, Echos, and Google Homes to buy products and thus creating new advertising avenues. A healthcare marketing agency that specializes in paid advertising and digital marketing trends should be considering the brand’s intent to capture these active internet shoppers and come up with a robust paid search strategy accordingly. 1. 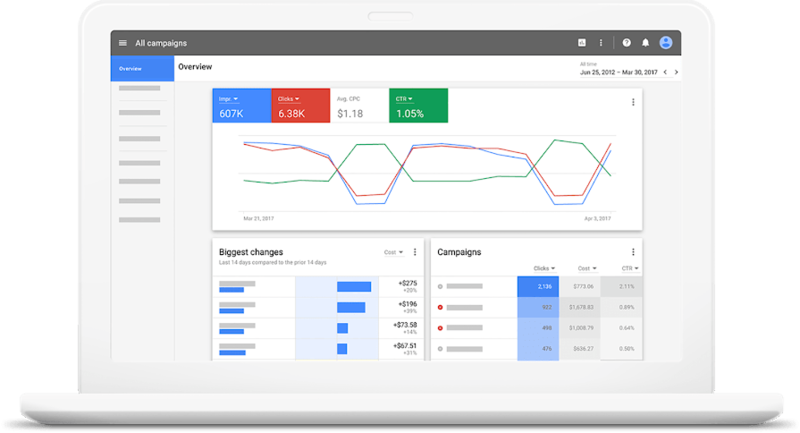 Embrace the new AdWords interface: Yes, digital advertising marketers hated the new Google AdWords interface when it came out a few months ago, but since it is here to stay then you might as well embrace it. So instead of moaning about the negatives of the new AdWords and reverting back to the old one, consider all of the positives that the new AdWords interface brings. 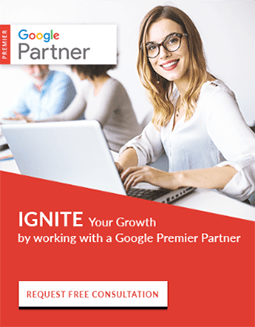 For instance, it has pleasing aesthetics, the alerts are more helpful (and can offer insights into what your competitors are doing), and the promotion extensions that are only available in the new AdWords version can give you a competitive advantage. Plus, the Audience Manager can help you further segment and personalize your campaigns helping you show the higher-ups that you’re spending those digital ad dollars wisely. 2. Become an awesome data analyst: As more consumers go to the internet for answers and more money gets poured into digital advertising to accommodate them, then expert online data analysts are going to become more in demand. High-quality marketing reporting can totally shift the boat in corporate strategy, therefore becoming familiar with evolving Business Intelligence tools can be to your benefit. 3. Put some advertising dollars towards LinkedIn and Facebook: Even though people are constantly threatening to shut down their Facebook accounts due to fake news or catfishing going on, no one seems to actually be doing it. As of July 2018, the popular social network has 1.4 billion users who log into it daily, an 11 percent increase over 2017. Likewise, LinkedIn reports that it has more than 560 million users located in 200 countries worldwide. So as more people jump onto Facebook to find out what their friends, family, and favorite brands are up to and professionals from all around the globe are going to LinkedIn to find out about job opportunities and brand reputations, then you may want to allocate some digital advertising dollars to become more involved. 4. Consider advertising with WebMD: As the number one trusted health website in the United States, WebMD has incredible reach by engaging both health-conscious consumers and healthcare professionals. Available in print format in 85 percent of America’s doctors’ offices, WebMD also has an impressive internet reach. It claims to be the leader in healthy living information, with 1 in 4 American adults accessing the WebMD portal every month and having a 58 percent larger reach than their next competitor. Since 71 percent of patients and caregivers use WebMD as their primary source of health information, its influence may be worth investing in. 5. 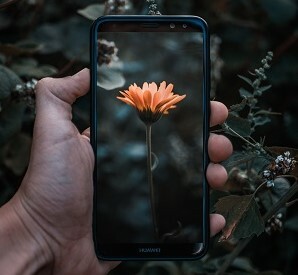 Explore feed-driven connections and have consistent messaging on all fronts: Nowadays, people seem to be spending the majority of their time in front of at least one screen whether it’s their computers, mobile devices, or televisions (and sometimes all three). Case and point: right now I’m watching a football game, on my laptop, and I have my iPhone close by. This may not be good for one’s health, but this is becoming the new norm for many Americans. In turn, digital marketers have noticed this trend and will continue to seek connections between PPC advertising and TV advertising, in-store purchases to online deals, and try to capitalize on the channels- online and offline- that grab their consumers’ attention the most. The important thing to remember is that keywords are still the dominant force behind internet users finding what they need. 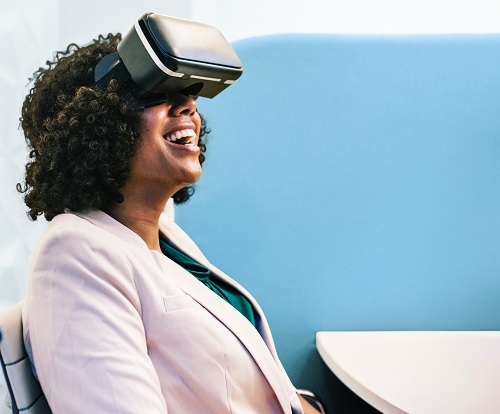 So whether you put more of an effort in video, creating web content catered to voice command search, or dabbling into virtual reality, always keep your user and end goal in mind. No matter how you approach your marketing efforts to take advantage of the digital marketing trends coming in 2019, always keep in mind that you want to position your brand(s) online to be a safe, credible, and trusted source. 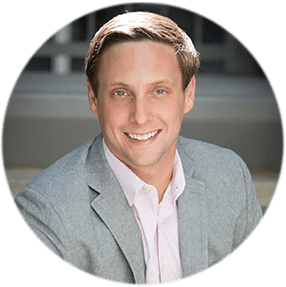 And if all of this blows your mind and you need some additional guidance on how to create a more detailed digital marketing strategy for 2019, we can help! Cardinal is a full-service healthcare marketing agency focused on driving you more patients. If you are looking to grow your medical practice or hospital system reach out to our experts today.